Kelly Cates, Ian Dennis, Chris Sutton, Danny Mills and Arlo White have all the reaction to a busy night of Champions League quarter-final action. 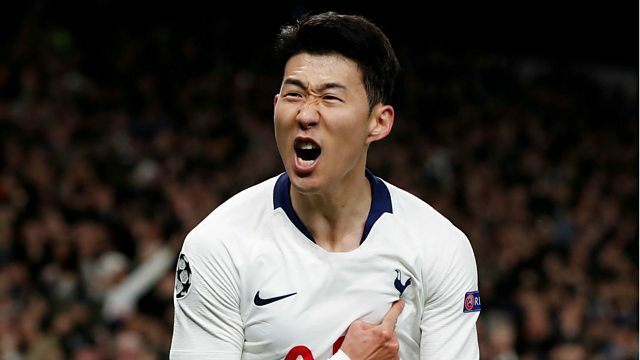 Tottenham narrowly defeated Man City 1-0 to hold a first leg advantage, but have a major injury concern after Harry Kane limped off with another ankle injury. Liverpool meanwhile took control of their tie against Porto with a 2-0 win at Anfield. Jurgen Klopp, Mauricio Pochettino and Pep Guardiola are among those giving their reaction on an intriguing night too. Not only that, the panel preview Manchester United’s Champions League game against Barcelona and BBC Sport’s Simon Stone gives the pod an insight into the United camp.